While “zombie homes” might be a cool-sounding name for something, the reality is its own sort of plague for states like New York. In Rochester, these vacant, deteriorating properties, are a longstanding eyesore that the city wants to acquire, but federal foot-dragging is holding up those plans. At least that's how Senator Chuck Schumer (D-N.Y.) sees it. In a recent press event, as well as in a letter to Department of Housing and Urban Development  (HUD) Secretary Ben Carson, Schumer urged HUD to approve the Asset Control Area Renewal Agreement, which would allow Rochester officials to acquire vacant homes and rehabilitate them. The agreement with HUD had been on the books since 2003 and had allowed Rochester to acquire 750 foreclosed homes for rehab. 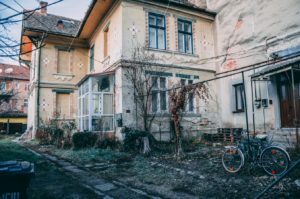 The agreement also was typically renewed every two years, but it expired in February, forcing the city to stall its plans, leaving the fate of 2,000 zombie homes waiting for a decision. Schumer called the agreement a “win-win-win” because it leads to rehabbing of vacant, often derelict properties, buoys local tax rolls, and provides houses for first-time buyers. In a fourth “win,” Schumer said the rehabbing of zombie homes also provides jobs for construction crews. Schumer's office said that it estimates that each zombie property in the city of Rochester is worth $15,000 to the local tax rolls. At 2,000 properties, that translates to $30 million.